Our teacher this year is Mrs. Bruzzese and we are lucky to have Mrs. Wright every morning to help us learn. We are very proud of our new uniform, we hope you think that we look smart! We have 30 friends to learn with and we really enjoy be creative and sharing our best work with every one. In Double Basses we enjoy opportunities to explore our themes through role play, singing and painting as well as our fantastic writing! This year we will be learning lots of exciting things! This year we will be learning how to become independent and all about positive thinking and growth mindset. We like to link our Literacy and Guided Reading work with our themes and are really looking forward to creating some amazing work! There will be lots more to come! We really like to read to people and love opportunities to practise at home with our parents, grandparents, aunties, uncles, in fact any body who will listen and enjoy our reading! We have fun playing games on the Learnpads to help us become mathematical geniuses! We need our P.E. kits in school on Monday, Wednesday and Friday. On Thursday afternoon Mrs. Bruzzese lends us to Mrs. Wright and Mrs. Bridge to help us learn about the weather and have fun practicing our speaking and listening skills with Show and Tell. We are a very enthusiastic class and we're looking forward to a very exciting year! We have been learning all about the seaside long ago and have become experts! We have been role playing life at the Victorian seaside and have had our photographs taken. We look like we were there over 100 years ago. Look at us! We changed our photographs into black and white which made us look just like Victorians and watched Magic Grandad to help us to learn more. We used our 'History Detective Eyes' to find out as much as we could from books, photographs, video clips and role play. Even Year 6 came to interview us as they had heard what experts we were! On Tuesday we went to Ainsdale beach to practice our sketching and observation skills. We listened to the lifeguards from the RNLI talking to us about beach safety. We listened well and learned all about the safety flags. Sky looked amazing as a lifeguard! We collected shells, wood and seaweed from the beach. We had to look really carefully to find everything and then we used our collections to create drawings and sculptures. Our team work skills were excellent and the adults with us thought we were wonderful! We have had an amazing start to the Summer Term in the Double Basses! Our theme is Wind in the Willows and we have had the opportunity to learn all about the story in Literacy and learn about animals and their habitats in Science. We have been very busy! Our animal adventure stories based on the adventures of Mr Toad were excellent and Mrs Bruzzese was very proud! We pretended to be Mr Toad in his prison cell and wrote letters to another character, the Jailer's daughter, to try to convince her to help us escape! We were very convincing! In our Science work we have explored animals and their habitats which included making some awesome clay animals of the characters from Wind in the Willows. We have painted them so that they can be camouflaged in their habitats. We have been exploring mini beasts too and learning where they live and why. Our mini beast hunt was very good fun and we got to use our Maths skills to create a chart and pictograms in our Computing lesson. We decided to create a 'Bug Hotel' for our new favourite creatures. We collected cardboard tubes, plant pots, recycled milk boxes (from our morning drink) and spades and set off onto our wonderful school field. We collected sticks, dry grass, soil, stones and flowers and put them in our recycled containers. Our hotel was placed on the field in the wooded area as we thought the creatures would like it dark and damp. We are very proud of our designs and hope that the bugs will enjoy living there. On World Maths Day we had an exciting assembly where Mrs Smith performed some Maths magic involving camels and a saw! If you would like to see it please check out the school Facebook page. Double Basses received a mission to solve a dinosaur egg problem. We were very excited to receive our mission and set about solving the puzzle. We needed eggs, dinosaurs and a partner to work with. We really enjoyed solving the puzzle. We played The Witch's Cauldren game and Evelyn was an expert! We had such an awesome day and learned lots. We can't wait to share what we've learned in assembly on Friday! KS1 had a fantastic time at the Christian Centre today with Linda, Mark, Alex and Steve. First we watched their assembly which re-enacted the Easter story. We helped out by being the twelve disciples and friends of Jesus. Over the course of the day we took part in team games in the hall, made Easter cards and had an Easter Egg Hunt. We also had circle time where we reflected on how Jesus was able to forgive those that had wronged him and how we should do the same. We made leaves for a display tree, which has been put up in the foyer. On the leaves we wrote our ideas about forgiveness. We also learnt some new Easter songs and took part in a colouring competition —all in one day! On Thursday it was our World Book Day Celebration. We walked into the classroom and discovered all of our purple chairs had gone missing! When we got back from our exciting assembly our chairs had come back. We read a story called 'The Day The Crayons Quit' which gave us the idea that we should write sorry letters to our chairs and promise to be kind to them so that they won't leave us again! Joe, Maisie and Jasmine wrote such fabulous letters that our chairs stayed for the whole day! In the assembly Mr Upton (Grandpa!) climbed to the to of the church roof (the climbing frame) to read to us from his David Walliams story. It was very fun to listen to the story. If you would like to watch the video click onto Facebook and search for Tarleton Community Primary School and you can watch it. Everybody really tried hard with their costumes and Double Basses Class was full of characters from David Walliams' books including Gangsta Grannies, Grandpas, Mr Stinks, Awful Aunties and lots of The World's Worst Children! Look at how wonderful we looked in our costumes! Today we had a visit from the fire service. We watched a video about Frances The Firefly, who was very silly and set her wings alight while playing with matches! We learned that we should always tell an adult if we find matches and NEVER pay with them. We listened to a smoke alarm and practiced being a family asleep in our beds. Some of our friends were fire fighters and they came to save us! We learned that we should test doors with the back of our hands, crawl along the floor away from the smoke and get out as safely as we can. Only then should we ring 999 and ask for the fire service. We have had a very busy day today! 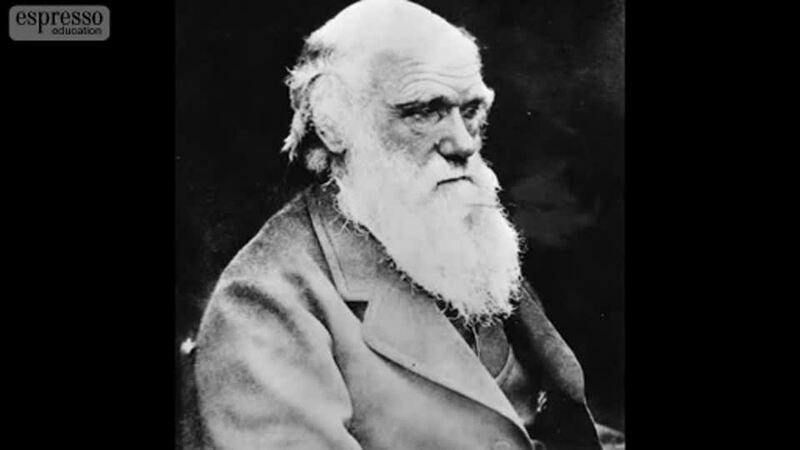 We have learned about another explorer not Neil Armstrong or Christopher Columbus this time but Charles Darwin. He was the first person to see some of the animals in our world- lucky Charles! We have learned all about animals in particular marine animals. We learned to name animals and sort them based on their special characteristics. We found out where different animals lived and played a game called in the sea or not where we had to 'swim' around the carpet! Double Basses have been learning about the Jewish celebration of Shabbat. We learned about the special roles and customs involved in the Shabbat meal and role played being a Jewish family. As a part of our work on the seasons we have been creating ice sculptures. We chose natural materials to freeze into our ice and put it into the freezer overnight. Then we estimated how long it would take to melt. We were very surprised when it took all of our school day to melt- that's about 6 hours! We were given the mission of building a moon buggy for one of the hippos in David Walliams' story 'The First Hippo on the Moon.' We looked at moon buggy design and learned the parts of the vehicle, we designed our own and then the fun began! We were shown how to cut our own dowel to create an axle for our wheels. We had bench hooks, clamps and a hacksaw to cut our dowel. We were very careful and did an amazing job! We then created our chassis by using reclaimed materials. We covered boxes in paper so that we could decorate them later and made seats, satellite dishes and even cushions for our buggies. We spent a long time and did a lot of thinking about how to make the pieces stick and whether to use a glue stick, sellotape, PVA glue or even a stapler. It took all afternoon but we created some amazing designs. Watch this space for our finished products! Some aliens came by to have a look at our finished moon buggies in our space station role play area! Do you recognise any of them? We started our new year by learning all about the Fundamental British Values of Democracy, Rule of Law, Mutual Respect, Tolerance and Individual Liberty. We learned about the role of the police and how they help to keep law in our country. We made collaborative posters where we worked as a team and listened to each other's views and opinions. Our posters are awesome and are hung in the classroom! We made a talent tree to help us to understand that everybody is different and has different strengths. We discovered that everybody's family is different and that the only important thing is that we all have a loving home, not who lives in it. We are very lucky to have children from other countries who can speak different languages in our class, but today we learned that we all live in Great Britain and are British. We had a fun time at our Christmas party to celebrate all our hard work. Father Christmas brought us a present! It was a space station play mat, which was very clever of Father Christmas as we will be learning about a famous astronaut after the holidays! We can't wait to play with it. We learned about the work of Keith Haring. We looked at his designs and recreated our own work in his style using the computers. We learned to draw people and used different media to create body shapes. Our favourite was the water colour paints which we also used to practise colour mixing with primary colours. We practised rolling clay lots of times and then used our skills to create body shapes. We discovered that next time we need to learn how to join pieces together better to stop body parts falling off! Our Enterprise week began with a visit from our 'Dragon' Sara Brookes. She told us all about her company and how she set up Jollie's Barn. Lots of us really enjoy visiting Jollie's Barn so we were excited to see photos of the building while it was being created. Sara taught us about logos, posters, leaflet design and how important it was to choose the name of our company carefully. Then we had a board meeting to decide our company name and design our logo. We had some great ideas and eventually decided on the name 'Festive Fancies'. All our logos were very creative but Mrs Bruzzese chose Joe's design to become our company logo. We used the design to make posters, leaflets and badges. We had a lot of fun! We looked at lots of ideas for what we wanted to create and finally, after a lot of discussion, chose to make melted snowmen biscuits and reindeer poo jars! We began to work out how much things would cost and how much to sell our products for. We enjoyed thinking about all the 'real' money we would make! We created the reindeer poo jars with Mrs Wright's help. We enjoyed adding the googly eyes and pom pom noses! Mrs Wright helped us with the hot glue gun to make everything strong! After that we created the melted snowman biscuits and wrapped them in cellophane to keep them clean at the fair. After all our hard work Mrs Bruzzese thought we deserved a treat so we tried our melted snowman biscuits- just to check that they were good enough to sell obviously! We all enjoyed them and couldn't wait to sell them at the fair. Some of us volunteered to be shop keepers at the fair, which was very exciting as we'd practised working in a shop in our fruit and vegetable shop role play area. This time we collected 'real' money and gave change. Mrs Bruzzese was super proud of us all! On Monday we started our new theme with a visit from Mrs Taylor to speak to us about her fruit and vegetable business. We have created a fruit and vegetable shop in our classroom and can play in it now we are experts! Thank you Mrs Taylor! This week we have had an exciting time learning all about Remembrance day, poppies and most of all what it would have been like to be evacuated in WW2. We read a story about a girl called Sarah and her brother, Joe, who were evacuated to the countryside during the war. Sarah lost her favourite teddy, Bramble, who was very special to her. We thought about our favourite toys and even brought one to school! We learned about how children lived during WW2 and how they, and their parents, felt about evacuation. On Thursday and Friday we came to school dressed as evacuees and took part in some role play activities, where we pretended to be evacuated and wrote letters and postcards home to our parents. On Friday we were lucky enough to be invited to do the school assembly of Remembrance for parents, children and staff. We spoke clearly about everything we had learned and listened to the Last Post played by one of TCP's past pupils. We were absolutely wonderful and everybody told us we were amazing! We felt very proud. This term we will be exploring our local area to find out all about where we live. We have been on a walk around the village to visit Carr Lane playground to create some amazing art work and maps! We are very excited to get out and about to see the wonderful place where we live and learn. We are starting our Literacy work by focusing on the story of The Jolly Postman by Alan Ahlberg. We were very creative when we made collage pictures of the character's houses which look amazing on our display. We have been reading about the characters in the story and have written some letters and postcards to the Postman. We have been visited by our own Jolly Postman to teach us all about his important job and how to play in our Post Office. We can't wait! We had lots of fun on Thursday when we visited the EYFS outdoor play area to take part in Outdoor Learning Day 2017! We explored the mud kitchen, the building site and lots more. All of us learned a lot about working together and team work. We were really lucky that the rain stopped just in time for our visit. We have been map detectives! This half term we have been learning about maps and aerial photographs. We have used a great computer map program called Digimap where we zoomed into our school from space! We really enjoyed finding out about where we live! We have been learning all about our school long ago. We wrote and asked lots of questions and were lucky that our teacher, Mrs Bruzzese, has been here a long time! We also had a visit from Mrs Perry, who used to work at our school, to talk to us about what school was like in the past. It was a lovely to see her again and Mrs Perry worked very hard to answer all of our questions! Mrs Bruzzese asked us a question at the start of the school year, 'Is Maths fun?' No one answered 'Yes!' (except for Mrs Bruzzese!) so she set us all a challenge that by half term we would change our mindset. As we've been learning about having a fixed or a growth mindset we all decided to accept the challenge. We've now changed our minds- 'Maths is Fun!' Look at all the fun we've had learning about shapes, measuring, numbers, adding and subtracting!